Bernadette Soubirous, when but a 14-year-old girl, experienced religious ecstatic visions of the Blessed Virgin Mary from February 1858 to July 1858. 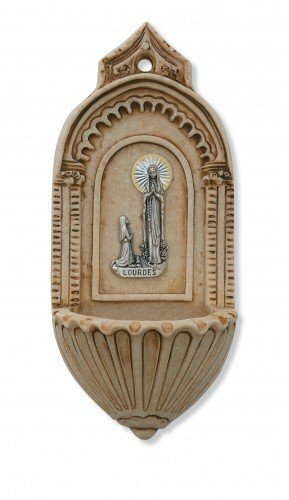 These experiences led to the creation of a holy shrine dedicated at the visionary’s meeting place with Mary, the Grotto of Lourdes in France. Her communion with the Immaculate Conception made her a celebrity in her village. After several years of harassment from religious seekers and others looking to exploit her she fled to a convent home in Nevers, France, in 1866. There she suffered much abuse from the senior superiors of the convent and from one particular Mother whose pathological jealousy led her to torment Bernadette the rest of her life. She died in the Nevers convent at age 35 in 1879. Bernadette’s story did not end with her demise, however. The woman’s religious charisma, piety, and supposed communication with the mother of Jesus on eighteen occasions in her past made her a "living" saint. Now it was time for the Catholic Church to consider canonizing her and making her a real, approved saint, St. Bernadette. The Catholic Church is the only “saint maker” on the planet, regardless of how any one religious denomination may feel about that fact. Many other religions have past and present adherents whom they regard as saints, but that does not make it so. Thinking it and saying it does not a saint make. Universal acceptance and recognition of any one pious person’s sanctity is only granted with approbation by the Catholic Church. Why this should be is not known, but it is the only organization with the authority to have their anointed accepted by the world at large. Canonization, the ecumenical means by which a candidate receives the title of “saint”, is a relatively new process in Church history. Saints such as the Apostles, and other early religious historical figures, were accepted on their face by public belief and acknowledgement as saintly. Much later, though, it became incumbent to codify the making of a saint simply because (in a world where there are now over 17,000 saints listed) certainly some standard needed to be developed. Not just anyone qualifies or can be made a saint (at least, not these days). In the past, many saints achieved that status with the simple greasing of palms. With the “right” pope in place a wealthy family could make a case for a deceased relative or friend, having that person raised to sainthood with influence or “donations” to the right papal group. This sort of backroom bartering is one of the issues (along with the selling of “indulgences” – paying a fee for absolution of sin) with Church practice that led Martin Luther to agitate for reforms. Early saints usually were granted that title by papal decree or in some cases a monarch could proclaim someone a saint. There was no vetting process, just word-of-mouth. The earliest known formal decree of sainthood occurred in 993 AD. Pope John XVI declared Ulric (a bishop of Augsburg) a saint. Pope Alexander III, in 1170, issued a proclamation that reserved the right of canonization to the Holy See (the papacy) alone. No other authority could be recognized for “saint making”. Taking the organic canonical law further, Pope Urban VIII (in 1625 and 1634) issued two constitutions codifying the standards and areas of inquiry when considering any candidate for sainthood. With some modifications it is Urban’s process that is used by the Church today, and it is thanks to Pope Urban’s foresight and strictures that saints are made only after many years of inquiry and debate. The criteria for consideration are also somewhat restrictive, but allows for a degree of flexibility as well. The Church, in its investigations, tends to lean more harshly on its subject than any other person or group. Their efforts more often than not lead to more debunking of saintly candidates than lead to candidates actually being canonized. This is not because the Church is attempting to undermine or intentionally disallow claims – it is because they approach the process with a rightfully intelligent dose of healthy skepticism. It is the Church’s reputation that is questioned as well as the candidate’s in these situations. Candidacy requires the person to have lived a saintly life (open to interpretation for some – St. Francis of Assisi, for example, was a notorious womanizer before he found his calling). The life must be lived in service to the faith. Finally (and this is the element that destroys most candidates) there must be at least two true miracles of either unexplainable or divine origin performed by the candidate, or associated with the candidate, or as a proximate cause of the candidate’s “holiness” (an object belonging to a saintly person that heals the sick, for example). Sainthood is no mean feat, and the Church takes its task very seriously. Candidates are suggested. Sainthood is an achievement whose very titular recognition means intensive study, investigation, and deliberation. The Church is surprisingly pragmatic about reports of miracles. In the course of canonizing a particular person they focus on the minutiae of such “miracles”. It is only after such investigations that, if no one can find any other explanation for a “miraculous” event, then it is deemed a true miracle. Even then though, the event comes with their caveat, “It is a miracle until we say it is not.” [And in the past several decades the Church has “demoted” many saints whose “miracles”, upon more enlightened examination, were either easily explained phenomenon, not of the originally reported grander scale, or outright fraud]. "Beatification" is the term for the early stage of consideration for sainthood, this early period of inquiry. In the wake of all the interrogations, fact-finding, and generally applied empirical observation, if the beatified passes muster (by the standards established initially by Pope Urban VIII) then the person is officially proclaimed a saint, and a feast day is assigned to the calendar for that new saint. He or she is also allowed to be “venerated” (meaning an adherent can worship or pray to that saint for guidance or spiritual solace and said prayers are “legal”). In 1870 the site of Lourdes was granted veneration by Pope Pius IX. This meant religious seekers could pray there as a holy, approved place of worship for the Blessed Virgin Mary. Almost immediately upon Bernadette’s death machinations began for her consideration for sainthood. She was well-known and the Lourdes healing miracles were front page news during her lifetime. The vetting process for Bernadette Soubirous was no different than for any other saint. All avenues of inquiry were explored. In her unique case, however, it was the wealth of “miracles” not the dearth of them that had investigators sorting out many things. There are several classifications of saints. Apostles and evangelists (such as John the Baptist); martyrs (Joan of Arc springs to immediate mind), doctors (known for sacred learning); and virgins, matrons, and widows (Joan of Arc also fits into this group as does St. Agnes who died rather than give up her virginity by force). The category to which Bernadette Soubirous (the visionary of Lourdes) belongs is none of these, though. She is classed in the group of “confessors”. This type of saint is one who suffered for his or her faith but was not martyred for it. Bernadette Soubirous was devout. She lived piously both before and after her visions. So, as far as one of the criteria for sainthood, she lived a saintly life beyond any doubt. She also fits her category well for suffering. Her celebrity forced her to uproot from her home village in the south of France and take up residence in a convent far away. This by itself is not suffering. Her treatment at the convent, however, was insufferable. She was emotionally abused daily and belittled. Her physical health was not good and even in her last years when she was almost a complete invalid and wracked with pain (from the tuberculosis of the bone that would kill her) she still maintained her faith. There was no issue over Bernadette’s piety or living a saintly existence. In life she was beloved by the masses and although brusque at times (she described herself as “fiery”) she was kind. That left only the “miracles” at Lourdes as the issue to focus upon for the Church. And some details had to be resolved before the nun Bernadette Soubirous could be truly named “Saint Bernadette”. Bernadette never did anything miraculous herself, as was determined by contemporary accounts and Church investigative efforts. She never claimed any, either, always giving credit for positive events solely to Mary and to faith. That fact alone qualifies her behavior as miraculous – most “seers” are shameless self-promoters and outright hucksters or attention seekers (Fatima’s child-visionary, Lucia, in the wake of her 1917 Mary vision was such a person). The spring which Bernadette scraped to the surface in the grotto floor, by the Church’s admissions today, existed before her efforts. However, there is the simple fact that she did find it – no one in the area had done so before. That part of this story is wondrous and miraculous only in the sense that any concrete explanation is not forthcoming (meaning no one had told her there was a spring or that she had heard stories about “the old spring”). Dowsing, of course, is a possibility; not the hokey forked-stick dowsing of the hillbillies, but the genteel practice of finding water by those who claim a sensitivity to “fields” generated by flowing water. This skill, much like that of walking on hot coals, is something almost anyone can learn. It is not as isolated a talent as popularly believed, and many industries use such techniques to find water. It does not work consistently but it has a history of success. Regardless of how Bernadette found the small puddle of mud that through her scratching now is the flowing spring source at Lourdes isn’t important. The “miracle” is she found it. However, it was the crowds that followed her to the grotto (whose numbers swelled from eight people on her second visitation to several thousand at her last) who created the “healing miracle” of the water of Lourdes. Once “the little saint” was observed drinking it the masses fell into the practice simply because they believed something was to be gained. She did not invite anyone to drink; she never said it could cure any health problems. Although she certainly did not comprehend the concept of a placebo, she did comprehend the power of belief; in direct response to a query about how much Lourdes water is needed to heal the sick, Bernadette had simply advised no more than a drop was necessary. She said faith did the rest. She was absolutely correct; the human brain is a wonderful piece of machinery as is the human psyche. Believe enough, and it will happen. The “healing” powers of the Lourdes waters were promoted early. The mayor of Lourdes during the critical revelation period was Anselme Lacadé. He had ordered the grotto barricaded in early July 1858 because its presence was causing too much disturbance in the village with the ever-increasing influx of visitors. Once the tourist potential was realized however he became a more active supporter of the grotto and promoted the healing waters as an alternative to two nearby popular spa towns. Lacadé sent water samples off for analysis in 1858. The testing was done by a professor in Toulouse. His results were disappointing to the mayor, however: the Lourdes water was no more exceptional than any other spring water (such as source Perrier, only without the natural carbonation). The elemental components were oxygen, hydrogen, nitrogen (all components of chemical “water” plus “air”) and trace materials: carbonic acid, carbonates of lime and magnesia, carbonate of iron, an alkaline carbonate or silicate, potassium chloride and sodium chloride, sulfates of potassium and soda, ammonia, and iodine. In short, the water was simple, potable spring water. Lacadé had hoped it might have contained something more exotic which would allow him to develop Lourdes into a spa town. Sanitation improved over time – today the bathing waters are pumped through an irradiator and filtered before return to the bathing tanks. Drinking water from the spring is available in several fountains and in bottles (free of charge). The water flows from the spring at the same spot where it was discovered by Bernadette. It collects in a cistern, and is dispensed via a system of taps near the shrine. The original spring can be seen within the grotto (a viewing port has been cut and is covered with glass to keep debris out of it), and it is lit from below. For anyone who has ever had to engage in field investigative work it can be frustrating and exhausting. Running down leads, scheduling and conducting eyewitness interviews; all require diligence, patience, and many hours of effort and documenting. Bernadette’s case was particularly challenging, not because of her but because of everyone else. Bernadette’s “miracles” were associated with the grotto spring she uncovered. The Church was caught in a dilemma here. She never personally levied any claims about the water of Lourdes having any special powers. All she had done that suggested anything about its efficacy was drink of it herself one time at the direction of Our Lady. And if the water had any power to heal at all it was an epic failure for the one person who perhaps was most in need (and most deserving) of it, Bernadette herself (she died slowly and horribly of a wasting disease). The Church’s investigative aims were to prove people actually had been healed and not temporarily reprieved from some ailment or injury. The first claimant was a local nine-month pregnant hausfrau named Catherine Latapie. She had an arm paralysis from an ulnar nerve injury from an accident. On Bernadette’s twelfth visitation with the Virgin Mary in the grotto on March 1, 1858, this woman was among the 1500 spectators on hand. She said she bathed her arm in the spring water of Lourdes and it was miraculously healed. [Another source reports this arm was “withered”, highly unlikely to be cured with bathing in spring water. Anyone who’s ever seen a “withered” arm knows it is physically deformed and no amount of topical application will “cure” it]. Latapie went into labor at the grotto and hastened away to give birth – no one there was told by her of her healing, nor did she present herself to any of the other several hundred people there with shrieks of “I’m cured!” (probably what most people would do). Her “cure” was only made known to a local physician-turned-documenter sometime after the fact. It is dubious at best, and probably a downright lie at worst. Lourdes sees between 3 million and 5 million visitors annually. Not all drink or bathe in the water of the healing spring. However, untold hundreds of thousands have done one or both since Bernadette’s first drink in 1858. The healing claims of the water required some form of independent verification and oversight. Presciently, Pope Pius X established the Lourdes Medical Bureau to investigate claims of cures properly and to protect the town from fraudulent claims of miracles. [This is uncharacteristically pragmatic of so high a religious personage; even if Pius X had done nothing else about Lourdes during his papacy this one act alone should ensure him a rightful place among thinking men and women.]. The Bureau is under medical and not ecclesiastical supervision and has no vested interest in whether miracle cures are true or not. Of the millions who have partaken of the waters of Lourdes, roughly 7000 people have made application for their particular case to be confirmed as a miracle. Out of these 7000, as proof of the Catholic Church’s diligence and rigor in investigation, only 68 (less than 1% of claimants) have been declared scientifically inexplicable, and are thus considered “miracles” by both the Bureau and the Catholic Church. 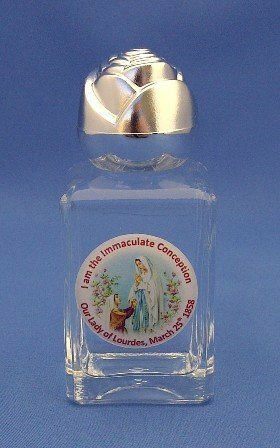 The 68 canonical cures attributed to Lourdes are one of the very few areas of controversy for the Catholic Church because Lourdes has been a very transparent event from its start. Thousands of people all told the same stories (unlike in the Fatima situation where no two people could give the same account of anything). Bernadette’s story of her visions never changed, either. The medical claims coming from Lourdes have been open to public and medical scrutiny from skeptical doctors from all over the globe. There is no attempt to leave anything covered up. Any medical doctor with the proper specialization in the area of the specific cure under investigation (for example, if an oncologist wishes to check records of cancer patients at Lourdes) he or she will be given unlimited access to the files and documents of the Lourdes Medical Bureau. These files also contain the records of those claimants whose miracles were disproved, and access to these records is granted as well. This is a hugely surprising move – the normal behavior in any religiously tenuous idea is to hide it from examination. What can’t be seen can’t be disproved (such as the allegation that the Ark of the Covenant is hidden away in a small stone building in Ethiopia. Although many have visited this shrine and tried to see the Ark, they are always rebuffed. The caretaker of the Ark claims no one can come in and look at it but must take it on faith it is there. This is expected, normal religious chicanery). So Lourdes has the distinction of inviting skepticism and welcoming it. Even in Bernadette’s day most of the officially recognized cures in Lourdes were openly discussed and reported on in the media. There were a few instances of some “miracles” where cases termed as “medically incomprehensible” (“miracle” cures) were reevaluated because the illness reappeared in later years. In the vast number of cases however, the judgment of the medical and ecclesiastical authorities was upheld as “beyond medical explanation” in later investigations. But as in all things similar just because something can’t currently be explained doesn’t mean it is “miraculous” or can never be explained, and both the Church and the Lourdes Medical Bureau continue to investigate. But all a saint needs are two miracles accredited to his or her veneration, his or her actions, or resulting from his or her involvement. With several dozen confirmed “miracle” healing cases established Bernadette easily passed this part of the test. Although Bernadette Soubirous was officially beatified (the first step in becoming a saint) in June 1925 by Pope Pius XI, the investigative efforts leading to her canonization started decades before. Almost as soon as she died, because of the circumstances of her life, her name was on the lips of many for sainthood. Thus, in September 1909, Bernadette Soubirous’ body was exhumed for examination. This is routine by the Church (done where possible), and it is nothing more than an investigative tool. Her coffin was removed from its burial plot at the Sisters of Charity site in Nevers, France. Representatives of the ecumenical and secular community were on hand for the opening of her casket. These were two doctors, Bishop Gauthey of Nevers, and a nun as well as other disinterested bystanders. A surprise met the viewers. What was found helped solidify supporters’ beliefs she should be made a saint. Her body was free of the smell of decomposition (not surprising; she had been dead for 30 years). However, the preservation of her tissues (when she had not been embalmed) was remarkable. Her arms and face were completely unaffected, and she carried a natural skin tone. Her teeth were barely visible through her slightly parted lips. The rosary given to her by Pope Pius IX (one she’d asked for as she was dying) remained entwined in her hands though it was rusty and its crucifix was coated with verdigris. Her body appeared “incorrupt” (preserved from decomposition). This was cited as yet another miracle to support her canonization. Bernadette’s body was washed and clothed. After official documents of the exhumation were placed beside the body, and her new double casket officially sealed, her remains were replaced in her tomb in Nevers. The report from 1919 indicating calcium salts and mildew patches on the surface of her body means Bernadette Soubirous is technically not one of the Incorruptible known to Church history (although she remains classified in that category). That report can only lead one to conclude she was in the early stages of natural mummification (which happens often under the right environmental conditions) combined with petrifying (leachate carrying minerals into her tissues). Her disqualification as a “true” incorruptible was proven at her third exhumation (in 1925, the year of her beatification). Relics (two rib bones and other unspecified material, probably locks of hair, clothing swatches, and perhaps some organ tissues) were taken and sent to Rome. This time she displayed clear signs of decomposition and mummification. Bernadette’s face was blackened, her eyes sunken, and her nose desiccated (all signs of mummification). Her hands and fingernails were similarly black and desiccated. Because it was planned for her body to be put on display, and there was a need not to alarm the public with her ghastly appearance, a mold was made of her face and hands. A very lifelike wax mask was crafted to cover her face, and her hands were similarly encased (this is not merely a thin wax coating – both wax prostheses are substantial). Her remains were encased in a gold and crystal reliquary in the Chapel of Saint Bernadette at the Sisters of Charity motherhouse in Nevers. “I would have liked to open the left side of the thorax to take the ribs as relics and then remove the heart which I am certain must have survived. However, as the trunk was slightly supported on the left arm, it would have been rather difficult to try and get at the heart without doing too much noticeable damage. As the Mother Superior had expressed a desire for the Saint's heart to be kept together with the whole body, and as Monsignor the Bishop did not insist, I gave up the idea of opening the left-hand side of the thorax and contented myself with removing the two right ribs which were more accessible. As a result of the miracles attributed to her, her saintly life and bearing, and her “incorruptibility”, Bernadette Soubirous was canonized as St. Bernadette on December 8, 1933, 56 years and 6 months after her death. Some saints have not been canonized for centuries until after their deaths; by Catholic Church standards of “making saints” Bernadette’s case was resolved very quickly. The visions of Bernadette at the Lourdes Grotto are but one incident in a larger body of canonical events lumped together in the field of Mariology (the religious contemplation and ecstasies associated with the Blessed Virgin). It is a separate field of religious study and has an interesting history of cranks, crackpots, and frauds associated with it. Bernadette Soubirous, however, is not among that group of fakes. Since the time of Jesus (particularly by the mid 4th century AD when Mary's veneration became a regular part of the religious liturgy) there have been literally tens of thousands of sightings of Mary in spectral form all over the globe. Some of these sightings are absurd pareidolia (the phenomenon of morphing the amorphous into recognizable shapes in the mind’s eye, such as seeing clouds shaped like animals). This kind of “vision” is easily and readily dismissed for what it is: wishful thinking (such as a potato “shaped” like the Virgin Mary; the rust stain on a screen door “looks like” the Virgin Mary – the list goes on ad nauseam). The Church barely notices these kinds of huckster activities – any legitimate photograph disproves them as do the most casual on-site inspections. In Mariology roughly 500 vision experiences have been seriously entertained and investigated by the Church, however. Of that small number, only a select handful is accepted by the Catholic Church as genuine with attendant miracles involving the Blessed Virgin. The best known of these are Guadalupe, La Salette, Pontmain, Fatima, Beauraing, Banneux, Our Lady of Akita, Our Lady of Laus, Our Lady of the Miraculous Medal, and Lourdes (it is interesting to note France’s geographic dominance of these claims). Even within this élite group of accepted and approved events there are still some very shaky and controversial claims even though these events are now firmly entrenched in liturgical history. Perhaps the earliest “verified” well-known vision of record is the one alleged by the Native, (Saint) Juan Diego, in 1531 in what is now Guadalupe, Mexico. In summary, he saw the Virgin in the mountains near the village where he lived, he produced red roses out of season allegedly of a type only found in a particular Catholic churchman’s home area in Spain, and finally a painting was drafted that purports to be the image this Native saw (the painting is the least important element although much weight is attached to it). Debunking this “vision”, barring the absurd circumstances of its creation, is easily done. All one must do is ask, “What, if any, ulterior motive does the claimant have? What hidden agenda lies behind the claim?” Juan Diego was a part of a vanquished group whose conquerors venerated a mysterious white woman. His “seeing” the Virgin was probably nothing more than a self-preserving attempt to ingratiate himself with his Spanish conquerors (who were murdering the natives at an alarming rate both willfully and with the inadvertent introduction of small pox to the populace). It worked. The Fatima, Portugal, visions of 10-year-old Lucia Santos and two of her child relatives (ages 6 and 7) are suspect in ways almost too numerous to name, starting with the fact no one was told of them until well after the fact. The “Miracle of the Sun” (a claim the Sun did amazing things in the sky on a particular day) is invalid on its face as no two accounts are the same. Many key details of the alleged Mary apparition experiences defy common sense, not the least of which is Lucia’s “suddenly remembering” significant details in the 1940s that were glossed over or never mentioned in the wake of the original 1917 “visions”. Fatima’s apparition “event” is probably an intentional fraud. That is not important, though – the Catholic Church has venerated the site, and it is far too lucrative as both a tourist attraction and a place of pilgrimage for reopening its case. Ecclesiastical approval for such sites to allow their veneration usually comes from the local bishop. In the case of Lourdes this should have been Bishop Laurence of Tarbes. The Lourdes case was special, though, because of its scope, duration, and the healing aspects of the miracle waters. Approval occurred in consultation with a congregation of faith and the pope (Pius IX). The Catholic Church’s bestowing veneration status on the site did not mean they believed Bernadette’s claims of supernatural visitation. Their stand on the matter was the veneration was not contrary to Catholic belief and that a supernatural explanation, while not proven, was reasonable. Skeptics have done much to denounce Bernadette’s visions as hallucinatory lies, intentional fraud, or an inadvertent hoax. These are harsh allegations, and although many attempts to discredit her (even during her lifetime) were attempted, all failed. Bernadette Soubirous, first, must be examined as a person. At the time of her visions she lived in poverty, her father had been in prison, and she was unable to attend school. She was sickly and frail. Her later sobriquet, The Little Saint, was not merely a term of endearment. Bernadette Soubirous, even by the poor nutrition and harsh living standards of her day, was very small (her adult height was only 4’7” – in the few photographs where she is seen standing among others she is almost lost in the mix thanks to her slight stature). There is much to glean from her description of Mary. In her words the Virgin was about 12 years old (a child, though younger, much like herself), about her own height and build (exceptionally small for the day, and at odds with the image of a healthy desert dwelling Jewess such as Mary). It is her clothing as described by Bernadette which may hold a clue to the vision’s origins, however. Bernadette described the garb of the child-woman of her visions: a long white veil, dressed in a flowing white robe, with a blue sash or girdle around her waist. Coincidentally, this just happened to be the uniform of the young women of the local hospice school, the Children of Mary. Bernadette had wanted to attend this school herself but her family’s poverty kept her out of it. If this was a hoax, perpetrated so Bernadette could gain admission to the school of her choice, it is a horribly contrived and intricate one, and certainly there would be better ways to gain entry than holding oneself out for public ridicule (the onlookers were completely aghast when she began smearing mud on her face and eating it, along with grass, on the visit where she discovered the spring). Her well-off aunt and godmother Bernarde was a long-time member of the group – one would think her influence could have been used by Bernadette to get in. Gaining entry to the school of her choice is too flimsy a motive and can be discarded. A temporary statue had been placed in the rose niche at the Lourdes Grotto when the site was venerated in 1862 (it is that statue which is seen in the only photo of Bernadette at the grotto, taken in 1862). In 1864 a more refined permanent statue was commissioned (it is the one seen at the site today). However, this statue is much older and taller (and more orthodox) than what Bernadette described. When Bernadette got a look at it for the first time she was profoundly disappointed with this image of her vision. It is reasonable to believe Bernadette, during the early part of her life before the visions, had heard many stories about the Virgin Mary appearing to commoners, more specifically to children. France has many such tales; it has more than its fair share of venerated sites because of them, probably more than any other country. In the early sixteenth century, a twelve-year-old shepherdess, Anglèze de Sagazan, received a vision of the Virgin Mary near a spring in southern France. Her story is similar to Bernadette’s. She was a pious little girl, certainly illiterate (in the 1500s education for females was considered a waste). Like Bernadette, Anglèze spoke only in the local language, Gascon Occitan. She managed to convince authorities her vision was genuine, and she persuaded them to obey the instructions of her apparitions. Bernadette was the only one who could see and hear her apparition – Anglèze, though only she could see her apparition, others could apparently hear it. Anglèze’s apparition tended to use its divine powers toward the miraculous provision of food, rather than in healing the sick. The other famous apparition story of Southern France with which Bernadette would have been familiar was the bizarre La Salette visitations (near the border of France and Italy). In 1846 (two years after Bernadette’s birth) two shepherd children claimed to have seen what they came to believe was the Virgin Mary on one bizarre occasion while they tended some cows. This Mary’s description was typical in the sense of her garb. The exception was her wearing much jewelry about her neck, with an odd cross figure with a tiny hammer and a tiny pair of pincers hanging from its cross-arms. An interesting addition to her attire, though, was white slippers with multi-colored roses on them (this is not part of popular artistic iconography – it is a strange detail that, like Bernadette’s yellow roses atop her Virgin’s bare feet, has no basis anywhere). The Virgin of La Salette was described by the two shepherd children as matronly (distinctly older than Bernadette’s child-woman). However, the one thing about the La Salette vision that differs dramatically is the vision’s demeanor. Bernadette’s vision was loving and caring. The La Salette vision, in both appearance and attitude, was morbid and downright sinister. Her messages to these children contained threats and this particularly malevolent vision is unique in Mariology. She is not a Mary one would care to meet in a darkened alley. [A parish priest later claimed the “visions” were actually a local zealot and lunatic nun named Constance Lamerliere. He predicated this belief on the dress the vision wore, the physical description, and the woman’s known ravings in the area. Constance was 55 years old at the time (the children described the specter’s face as younger). Arguments were made that Constance probably slapped on some makeup or powder to seem more youthful (though still older than Bernadette’s child Mary)]. In 1851 (seven years before Bernadette’s visions) the La Salette site was venerated by the Church. Even so, the mystery remained. The children’s stories were grossly inconsistent and variable, details are out of place (why would Mary wear fine jewelry? ), but the site generates much revenue for the area near Grenoble (where it is located), and the case will probably never be re-opened for examination. Arguments finally, then, can be made that Bernadette, having heard the lore of southern France relative to Mary visions simply cobbled together her own version of it using bits and pieces of the other known stories. One could also throw the legend of Joan of Arc into the mix except Joan never claimed to see or speak with Mary. It was the archangel Michael and two other saints who spoke to Joan. The local Lourdes physician who was documenting the Lourdes activities (with an eye toward publication) knew Bernadette personally as well as her family. He reported she was in her right mind. So, what was this peasant girl seeing? The positive answer isn’t certain. The definite negative answer, though, is clear: whatever she saw it was not the Virgin Mary. Mary, at the time of Jesus’ birth, would have been a teenaged Jewess about 15 or 16 years old. Jewesses are not alabaster, they are swarthy. Their hair is dark, as are their eyes. The real Credit: public domainMary, by the time of the Ascension, would have been a completely mature middle-aged woman at the time of her death. Bernadette’s child-Mary is nothing more than a projection of herself – the height, the build, the demeanor. The garb of the vision being that of the Children of Mary is nothing more than wistfulness on this girl’s part to belong to that school. However, there is a sincerity in Bernadette’s belief lacking in almost any other Mary vision. She did not need to prove anything to anyone – she was perfectly content to have her visions to herself without any other explanation. They just “were”. And it is this sincerity that makes Bernadette’s visions “real” compared to any other Mary visitation of record. She did see something, no doubt. But the experiences had to be nothing more than self-hypnotic visions instigated involuntarily by stressors in her life. The girl was probably seeking solace of some kind, and this outlet was as good as any. It gave her hope and focus. The other accomplishment of this teenaged peasant girl was the simple reaffirming of faith. She did this single-handedly, albeit probably accidentally, once the spring began to flow. The site was embraced as a place of pilgrimage almost overnight. She had the presence of mind to accept that faith alone can work miracles (she inasmuch as said the Lourdes spring water itself was useless for healing in her statement, “A drop is enough, it’s faith that counts”). She was a remarkable young girl, one who deserves her place in the realm of the saints. Bernadette Soubirous was the true miracle at Lourdes. This article cannot be given any credence at all. The visions that the author describes as 'bizarre' with a 'sinister' Blessed Virgin is none other than the Church-approved apparition at La Salette. Our Lady of La Salette was in no way sinister or bizarre. She was very sad and wept. She wept because of the situation in the Church and the future of the Church. She wept because of the sufferings that her French people would have to endure because of their sins. It is similar to Fatima and also Our Lady of Good Success in Quito, where She foretold horrors that would befall the Church in our times, which, in fact, have happened just like the things she warned of at La Salette did occur. God forgive your ignorance in writing such things that will invariably lead people astray.